The work of the Creator’s first word was the distinction between light and darkness. In this distinction, light gave form to our dark, formless existence — light showed us we had darkness. When we were aware of darkness we also saw the distinction, and made a choice. For those who chose the Lord’s way of light, and were born again, we saw forever the distinction between us and other created things, and the distinction between us and the Creator. Re-read that out loud, and don’t move ahead until it clicks for you. Everything was formed by light. This was the work of the first word of God. This is powerful to me because of 1) the way we hear Hebrews 11:3 preached and 2) the resurgence of light in the Body of Christ. First, our history with Hebrews 11:3 in the local church is the emphasis on speaking God’s word and applying it to our lives. We “frame our own worlds” with His word. This verse is used to inspire the saints to cultivate speaking discipline, like God, and speak to create. In speaking to create we will use caution in speaking out of emotion, by demonic influence, and/or according to simply what we see. Next, this idea of light creating awareness of darkness and bringing form to our lives suggests that God’s intent for light was always to maintain a distinction. My pastor preached a message once on light, and pointed out how the line has been blurred in our current culture. The “wattage” of the church dims when we move away from God’s word and standard and surrender our distinction. Please, do not consider this through religious lenses — I’m not talking about manmade rules, but God’s light, life and love seen through our lives. We are grateful for the light for ourselves, but in certain settings we do not want to be the distinction — for fear, for shame, for lack of boldness, etc. 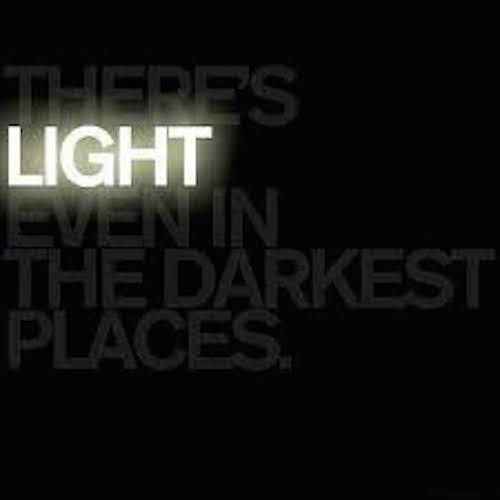 But think on this today, that God means for light to bring form to the chaos of darkness. People in darkness of any kind are looking for an anchor — something stable, reliable, comforting — to lock into, but it won’t come through their darkness. Stability, reliability, and comfort come through the light, when those who are hopeless in the dark see there’s another option… another way… another course… and it is the light that makes that possible. Yes Lord. Royal Ones, go and do…IN light… AS light. Selah, and love to all.